Princess Beauty Singing "Something There"
Our Spider-Hero really knows how to swing! The Little Mermaid sending hugs and fishes in Boston! The most authentic costumes and performers! Sing and Dance alongs at every performace! Bringing magic and fun everywhere we go! Ice Princess and Ice Harvester love joking with each other! Stories and Sing Alongs at every performance! "Bringing Imagination to Life at the Best and Lowest Price!" That's our motto here at Making Magic! When it comes to affordable and high-quality entertainment, nobody comes close! We offer Princess, Superhero, and Costumed Characters as well as Face Painting for Birthday Parties, Festivals, Parades, and other Public Events in Middlesex County and its Surrounding Areas. Our Character Performers are some of the best in the business. Each having theater, costume, singing, and party planning experience from some of the top entertainment brands in the business. We also offer Royal Assistants at every event we do to ensure a no-stress experience! We look forward to Making Magic with you soon! Minnie was excellent and the kids had so much fun! Thanks so much Kristen! Ms Mouse had so much fun celebrating with you! Very pleased with the service received from Making Magic Character Performers. And we are very pleased that we got to be a part of your celebration! Thanks for Making Magic with us Nensi! Awesome job. We enjoyed Mickey! And Mickey enjoyed you! Thanks so much Erin! We hope to Make Magic with you again soon! We had Cinderella come for my daughters first birthday party and she was amazing. They are so professional and the kids loved every minute of it. Thanks so much for the review! We had a wonderful time celebrating your daughter’s birthday with you! My name is Ven. My daughter's birthday was yesterday. Girls did a great job. Very entertaining. Kids were so happy, especially the birthday girl. Everything went great. I do recommend them and I will tell other moms too about them. Five stars!!!! Everybody loved their performance. Thank you Ven! 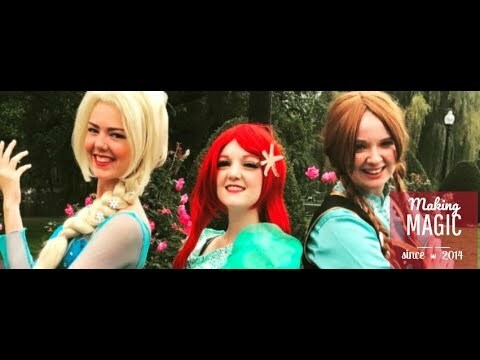 The Snow Sisters had a wonderful time with your daughter yesterday! We hope to Make Magic with you again soon! Making Magic Performers - Worth Every Penny. Thank you for submitting a review! We had such a wonderful time celebrating with Ava and all of her friends! We are so glad we could provide such a magical experience for you, and we look forward to Making Magic with you again soon! I can't thank MMPC enough for making my daughters Winter Onederland extra special! The best part they stayed in character. The kids absolutely love them and the parents have pictures and special memories. They tell stories and have sing a longs. Thank you Elsa Ana & Olaf for making Isabella's birthday unforgettable. Here at Making Magic, we want to create a magical experience for our guests. That is why we have something that we like to call the M.A.G.I.C. Mixture. This mixture is designed to help our performers, assistants, and backstage workers give YOU the best experience possible! From the moment your character enters your event to the moment your character leaves, your guests will be immersed in their story through sing alongs, stories, games and other activities! Want something extra? Face painting and goodies for all of your guests can be added as well! Plus, while all of the magic is happening, you will not have to lift a finger! Each one of our character's packages also comes with a helpful royal assistant who is there to help with anything from gathering kids, tidying things up, or helping to cut and pass out cake! Our prices are the best around. We research our competitors prices to ensure that our clients are not just getting the best parties ever, but the best prices ever! Found a price that is better than ours? Let us know and we will match it or give you a discounted rate! All to ensure that we are "Bringing Imagination to Life, at the Best and Lowest Price.!" We have three fantastic packages to fit every party size and budget! - Singing of "Happy Birthday"
- Deluxe Storytime: Help our characters tell their story! FACE PAINTING: A great addition to any of our Extra and Mega Magic packages! All of our parties that are more than 20 minutes away from Woburn, MA will also have a $25.00 travel fee added onto their total. The story of Making Magic begins with our founder, Emily Sullivan. Emily was fully fascinated by the world of costumed characters and performing and wanted to share her love with others. 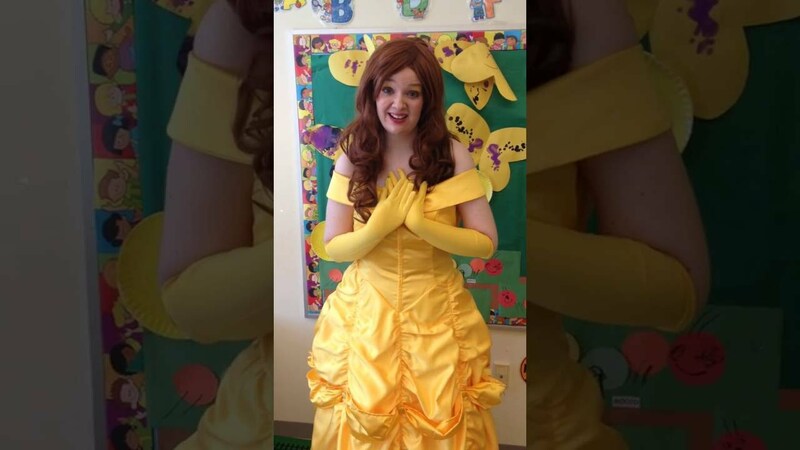 She started volunteering as a character performer at just 8 years old and performed at multiple events throughout her hometown of Woburn, Massachusetts. In April of 2012, Emily started a professional career as a character performer with Chuck E Cheese’s. During her time with the company, she has performed with their characters for more than 20,000 performances in locations throughout the east coast and is a three-time award winning character performer in the company. Emily is also one of the co-founders of “Chuck E Con”, a fan convention for Chuck E Cheese’s and their related assets. The event garnished national attention and had more than 100 people attend the inaugural event in July of 2018. In 2014, Emily got a Snow Princess costume for a Halloween event. The guests of that specific event were so impressed they started asking her if she did Birthday Parties. And the rest, is history! Now five years later, Making Magic is one of the top character performance companies in Middlesex County. With more than 20 different characters to choose from we have something to fit every party and budget! All of our parties include LIVE singing performances, specially made games and activities, and our special personalized gift and card for each and every Birthday Star. You can even add Face Painting to make your party extra special! Our parties also come with our special “Royal Assistants” to help you with anything you need during your party and to ensure that our characters are making your experience a memorable one. So choose Making Magic for your next party and experience the Magic for yourself! We hope to see you soon! Please make sure there is a space open for our character performer to sit so they can sing and read to your guests! Also make sure there is enough room for everyone to move around too! If you have chosen Face Painting to be included in your package, we also recommend setting a table or place aside for us to perform this feature. Don't worry about paintbrushes, mirrors, paint, or cleaning supplies, that is all supplied by us!